Home » Beauty » What are the best home skin care remedies? What are the best home skin care remedies? If your skin is dry, what better way to start hydrating it with a natural component? 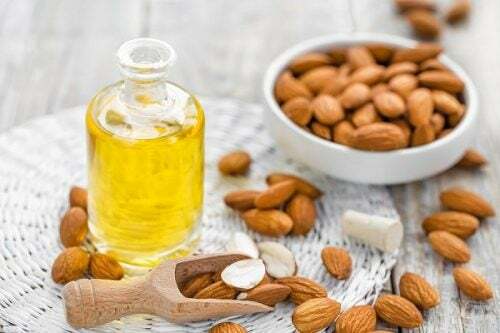 The almond oil is an excellent choice, as well as being available at home. Learn how to prepare your own moisturizer so that your face does not look as dry as usual. With the hot water, moisten your face. Next, pour the almond oil and rub it in your hands. Bring your hands to your face and massage them with circular movements. Perform these movements for a couple of minutes and then soak the hand towel in the hot water. Drain the towel well and place it on your face, being careful not to burn yourself. Leave it until it has room temperature. To finish, clean the face with the cloth and repeat the procedure 3 times a week. When you want to hydrate your dry skin, using the mixture of homemade products such as yogurt and potato is an excellent choice. This has lactic acid, which satisfies the moisture of the skin, in addition to serve to remove dead cells and as a natural exfoliant , so it leaves your skin completely smooth. Combine the yogurt with the mashed potatoes, so that it is a well integrated mixture. Apply it directly on the face and cover up to the neck. Let the mask rest for 20 minutes and remove with warm water. It will be a completely new skin! Repeat this home treatment twice a week and you will see how you can hydrate dry skin for a long time. Clay has numerous properties, including moisturizing and moisturizing long-term dry skin. However, for this purpose, white clay powder is preferred. Try not to mix it with water from the beginning. This way you make sure you can prepare it according to the amount you use and leave results that are always effective. Mix the clay powder with the water until there is an emulsified and well-integrated preparation. Peel and cut the sliced ​​cucumber and add it to the previous mixture. Mix with your hands until a very thick consistency is achieved. Apply on your face, cover up to the neck and let it rest for 20 minutes. Its tendency to harden is what will make your face finish with the desired softness. Use this mask 3 times a week and your face will remain soft and moisturized. A product that you most likely always have at home is eggs. These have an optimal natural structure to hydrate dry skin due to each of the essential nutrients that make them up. In this mask we mix them with oatmeal to achieve a more effective formula and thus be able to enjoy a moisturized face. Mix the eggs with the oat flakes until they are fully integrated. With the help of a brush, go applying the mask all over the face, which is very uniform. Let it act for 15 minutes and remove with warm water. Repeat the application twice a week and you will see amazing results. Previous Post What are the best skin care home remedies? Next Post What is the best home remedies for fair skin within a week?